Amber Qalagari – Page 2 – Traveler. Writer. Adventure Seeker. If you are a citizen of the 19th district of Nassau County chances are you know the platforms of executive candidates Edward Mangano and Tom Suozzi; but do you know the policies of your legislative candidates Steve Rhoads and Dave Denenberg? The legislative elections for the 19th district of Nassau County had three profile county problems: recovering from Hurricane Sandy, consolidating of police precincts in Nassau, and controlling the county budget. Before casting your ballot on November 5th, make sure to see where each candidate stands on the issues. The 19th district of Nassau County which encompasses Merrick, Seaford, Bellmore, North Bellmore, and Freeport were hit heavily last year during Hurricane Sandy. In Seaford, one in five houses are still damaged and many families throughout the entire district are still recovering from the damages. Dave Denenberg Solution: The current incumbent held over thirty workshops to help Hurricane Sandy victims in addition to numerous county official meetings to discuss the reconstruction. He proposes a Hurricane Sandy bill which forces insurance companies to pay the storm victims within 30 days or give a “good faith reason” why they cannot supply the money. The filer of the claim can respond to that and the 30 days starts again. If still not paid, the filer can bring the insurance company to court with a Private Right of Action. Steve Rhoads Solution: The challenger believes there should be more volunteer efforts to help those affected by the storm. Rhoads, a previous fire captain of the Wantagh Volunteer Fire Department, was out with the fire department during the hurricane. Resources such as money and food were coming in, but were not being delivered efficiently to those in need. In regards to the proposed Hurricane Sandy bill, Rhoads believes it only sounds good on paper. He says it will not work because the county does not have the ability to regulate what banks and insurance companies do. Instead he proposes the county work with federal and state officials who have the ability to process these claims faster. The Issue: Consolidation of Police Precincts in Nassau The original plan called for eight precincts of Nassau County to be consolidated into four to better utilise and organize the police staff. The closed precincts would then be converted into “community policing centers.” The plan is now being reconsidered on the South Shore after the Seventh Precinct building was flooded during Superstorm Sandy. Dave Denenberg Solution: Denenberg has been a strong opposer of the consolidation of police precincts since the plan was initiated. The consolidation would increase costs as well as eliminate special patrols such as the bureau of special operations and the emergency task force. Wants to remove consolidation in 1st and 7th precincts. Steve Rhoads Solution: Stands with the administration for trying something new in regards to the police. He believes now that it has been partially implemented it is time to see if any readjustments or redirecting of the plan needs to happen. Pushes for both Republicans and Democrats to participate in the process of utilizing the police resources and staff they have in place. Rhoads believes the main issue of public safety right now is the growing drug and gang problem within Nassau County. Dave Denenberg Solution: Wants to remove any backdoor tax increases implemented by the county executive such as sewer taxes, passing of the county assessment refunds unto schools and fire districts. Says the county executive wants to sell the sewage plant for an 800 million dollar budget fix but Denenberg wants 700 million invested in the plants. This will to projects such as pollution control devices which will ultimately balance the budget. Want to keep taxes down by developing the downtown area. Right now he is working with the mayor of Freeport to open a high tech center. Steve Rhoads Solution: Proposes a review of every level of government to see that taxpayer money is being used as little as possible. Also believes municipal contracts such as medical benefits and pensions need to be adjusted. Rhoads claims that Nassau County makes more money off of sales tax revenue than it does property tax. The sudden outburst in the usage of the term “professional journalism” makes me wonder if previous decades of journalists have been unprofessional in their field. A journalist’s job has had the same description since it’s creation in the early 1800’s: tell people what is happening throughout the world. The politics and money behind news stations have made it common for journalists to report news from their paper’s perspective. You want to keep your job, you report a certain way. According to InTheseTimes.com, professional journalism has exploded recently. 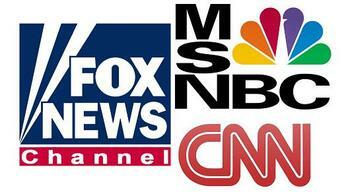 Partisan journalism is no longer the standard and in most cases it is disregarded as actual news. 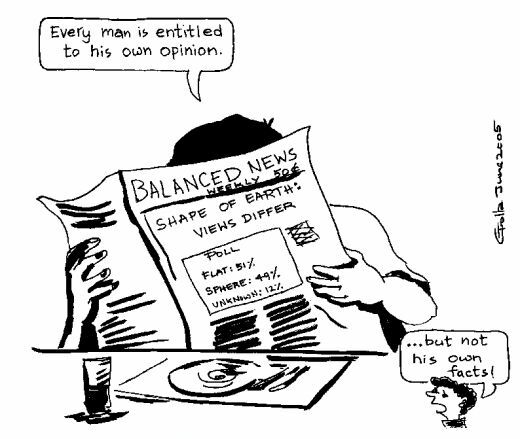 Objectivity in journalism allows the reader and viewer to postulate their own opinions based upon the facts given by the reporter. While media is still driven by money and politics the expansion of technology has allowed many to speak against one perspective journalism. Journalists are no longer found as employees for big companies signing off their objectivity in their contracts. Journalists are everywhere and have the ease of tools such as their smartphones to record nonpartisan news. Although journalism has always had the purpose of providing news to citizens the objectivity of it has been questionable over the years. Today’s journalists not only have to use more visuals over written word to adhere to their audience, they must report the news in an unbiased fashion. Today, you want to be a professional journalist, report objectively.